If you’re on the hunt for a spacious and powerful vehicle to tackle the roads, then the Dodge Journey vs. Dodge Grand Caravan are two of the top choices of many Canadian drivers. Whether you need a larger vehicle for family commutes or a robust powerhouse for camping excursions, you’ll find yourself with two fantastic options within the Dodge lineup. But which is right for you? 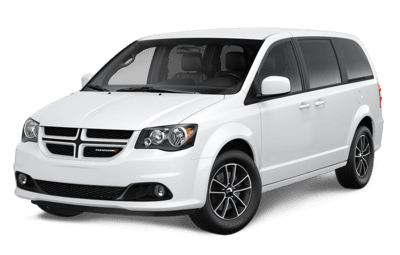 Let’s take a look at the Dodge Grand Caravan and Dodge Journey specs. 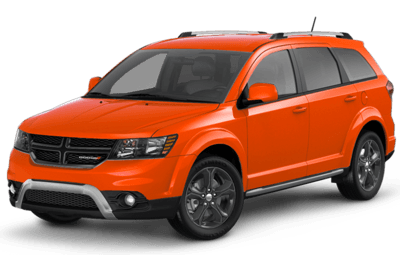 The Dodge Journey is a slightly smaller vehicle with a slightly smaller price tag. Classified as an SUV, the Dodge Journey has a starting MSRP of $22,385. The Dodge Grand Caravan is a large minivan, which might be a better choice for larger families, with a starting MSRP of $25,195. All of the Dodge Grand Caravan specs showcase a front-wheel drive configuration, a popular drivetrain choice for its efficiency and ease. However, the Dodge Journey is a little more rugged with both front-wheel and all-wheel drive options. If you drive through tougher terrain, the Journey’s adventure-ready powertrain might be better for you. What’s under the hood? The Dodge Journey specs start with a standard 2.4L DOHC 16V VVT I-4 engine with 173 hp. The Dodge Grand Caravan has a 3.6L Pentastar VVT V6 with a whopping 283 hp, which is quite a bit more power than the Journey. However the Journey can reach a combined fuel economy of 11.1L/100 KM, which is more efficient than the Grand Caravan’s best at 11.8L/100 KM. Plus, the Journey also offers its own available 3.6L V6 – but you’ll have to upgrade to secure it. Which option is right for you? There’s only one way to find out! Can’t decide between the Dodge Journey vs. Dodge Grand Caravan? We know how difficult it can be to choose between these two showstoppers. Take a test drive at Crestview Chrysler to get a better feel behind the wheel. Feel free to drop by the dealership to chat with our experts, or contact us online for more information about the Dodge lineup. In the meantime, why not learn a little more about the Dodge Journey towing capacity?